The TF-2000A’s special livery was prepared to celebrate the 20th Gruppo’s 100th anniversary. The Italian Air Force celebrated the 100th anniversary of four of its squadrons (20th, 21st, 22nd and 23rd Gruppo) at Istrana airbase, in northeastern Italy, on May 11, 2018. The 20th Gruppo, the Typhoon OCU (Operational Conversion Unit), based at Grosseto and in charge of the training of all the Italian pilots destined to the Eurofighter fleet, presented a special colored two-seat Typhoon: designed by Silvano Mainini and Andrea Scomparin (who are also behind many other famous special colors including two of those presented last year) the TF-2000A MM55168/4-37″ sports the squadron’s black and yellow Lion on a blue background on the right hand side of the tail, the black cat chasing three green mice on a white background (typical of the 51° Stormo) on the left hand side. The aircraft ‘s upper side of the fuselage, the air brake and the canards are painted as well. The Typhoon MM55168/4-37 left hand side. (Image: Alfonso Mino). 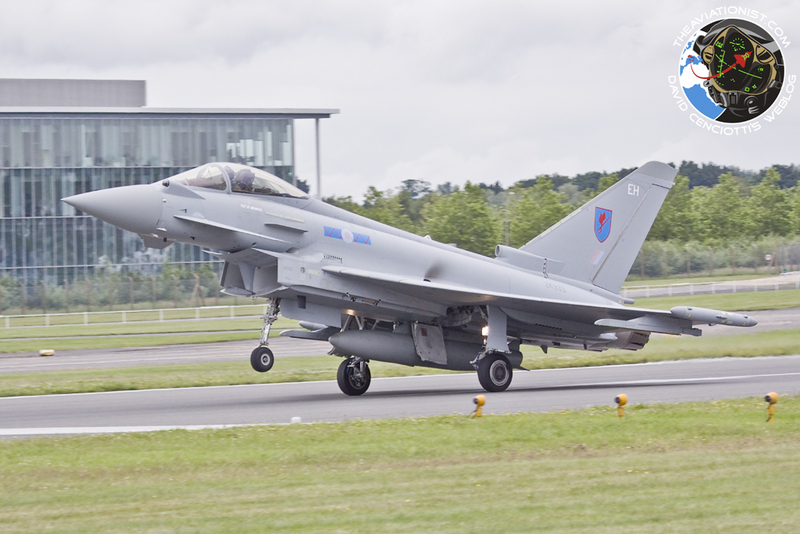 This two-seat Typhoon represents the very first Italian Typhoon trainer painted with a special color scheme since the type was introduced back in 2004. The images of the aircraft in this post were taken by photographer Alfonso Mino. 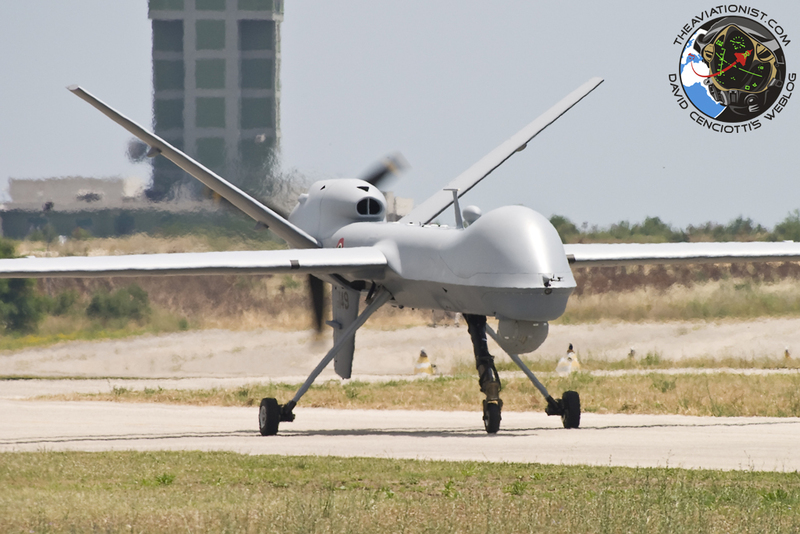 Italy's Reaper drones to be "weaponized"